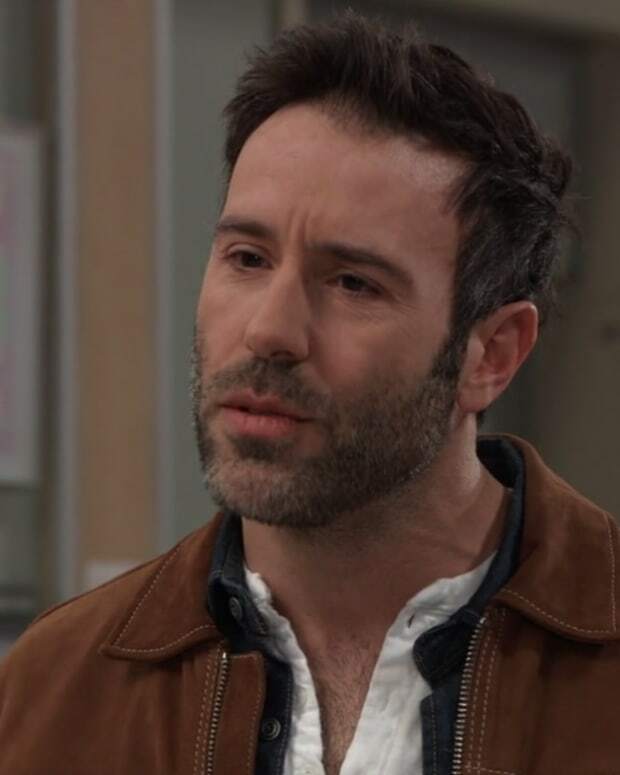 Franco is surprised at "Kevin&apos;s" change of heart regarding his treatment. Ryan says if he does this, Franco will need to be honest about all his crimes and tell him everything. During the session, Franco admits he enjoyed what he did, though he doesn&apos;t have the compulsion to kill anymore. He says he remembers how it felt, loved the attention, and being one step ahead of the police. Lulu wants to try hypnosis, but Laura disagrees. Laura says Lulu is still recovering and thinks they should wait a day or two to see if her memory returns on its own. Jordan says this is time sensitive. Lulu feels she has a moral obligation and it&apos;s her call to make. Laura agrees, only if the doctor signs off on it. Sonny stops by Anna&apos;s to ask for her help in locating Dante. Robert and Finn show up. Robert is not happy to have Sonny hanging out with Anna. Anna checks with her contact at the WSB and tells Sonny that Dante is deep undercover with some dangerous men. She says trying to reach him could get him killed and assures Sonny that Dante will come home safely. Kristina tells Jason that the DOD is the best thing for Sam, since it changed her life. Jason explains that Sam went through a lot raising her brother on her own. Jason says Sam was used and hurt and doesn&apos;t want the same to happen to Kristina. Kristina feels Shiloh can help Sam. Shiloh runs into Sam and the two discuss his past. Shiloh says he would be dead, likely from an overdose, if she hadn&apos;t stolen all the family money. He says it changed his perspective and he was reborn. Sam explains about her brother and what she had to do for money. She says she doesn&apos;t regret the choices she made since it allowed her to care for Danny. Shiloh says she needs to explore that pain and he can help her. Ava demands answers from Chase about the investigation. She wants him to do more. Chase asks about Franco&apos;s relationship with Kiki. Ava defends Franco and tells Chase to look elsewhere. Sonny stops in to see Kristina and asks if she&apos;s heard from Dante, but she hasn&apos;t. Kristina can see that he&apos;s worried and assures her father she can feel that Dante is okay. Shiloh arrives and is introduced to Sonny. After some small talk about how great Kristina is, Sonny drops his calling card. Hurt his daughter and well . . . you know the rest. Sam tells Jason about her meeting with Shiloh. He managed to get her to talk about things that she&apos;s had buried for awhile. Sam worries what Shiloh is capable of doing to Kristina. Franco heads to Kiki&apos;s grave to talk to her. Ava shows. Franco tells her that Kiki was the only person who accepted him and loved him before Liz. He thanks Ava for keeping Kiki away from him all those years because he wasn&apos;t fit at that time to be around a child. Ava declares she won&apos;t rest until she&apos;s found the killer and made them pay. 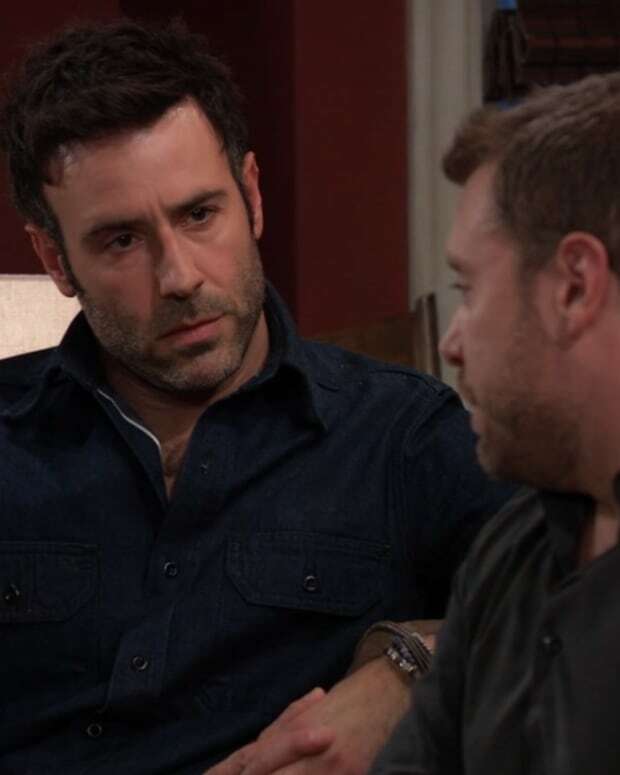 Chase tells Jordan that Franco&apos;s alibis for the murders do not rule him out as a suspect. Jordan believes that Franco is playing them. They head to "Kevin&apos;s" office and ask him to help Lulu. Jordan shows up with "Kevin" in tow, but Laura has a problem with him being the one to help Lulu. Both Laura and Lulu say that "Kevin" has not been acting like himself. Ryan says he&apos;s capable of separating personal stuff from business and he wants to help Lulu remember. Ryan says he will keep Lulu safe so she can access the memory is blocked. He warns them it may not work. Laura tells him to take good care of Lulu.